For busy people, convenience is key when it comes to visiting the doctor. You want the kind of doctor that you can see easily and quickly so a doctor’s appointment doesn’t affect your whole day. That’s why Dr. Jeremy Luckett and his team of medical professionals at Vineyard Primary Care are dedicated to providing you with quick, convenient, and thorough care. Unlike other doctor’s offices, they adhere to a schedule that doesn’t keep your waiting. 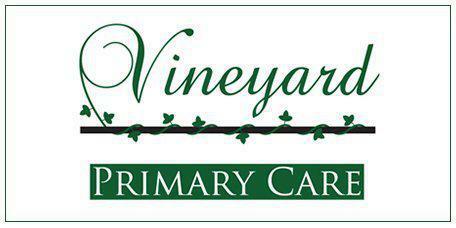 Vineyard Primary Care in Owensboro, Kentucky, makes time for your busy schedule. Convenient care means patients receive care for their medical concerns in a timely manner, while still receiving a thorough diagnosis of the symptoms they’re experiencing. Dr. Luckett or Christina Wilkerson, APRN will start by collecting your medical history, after which he will talk with you about your symptoms. From there, he will diagnose your condition and create a plan to treat it. Because their office is so efficient, they can see you, provide you with the most advanced medical care possible, and get you back to your scheduled activities in no time. How can convenient care help me? Because life is as busy as it is, between work, school, kids, and your home life, it can be difficult to get the care that you need. This is a shame as it prevents people from receiving care as often as they should. With that in mind, Dr. Luckett crafted his practice’s business plan to be able to accommodate busy lifestyles. Should any emergencies arise, existing patients can book same-day appointments, so you can be sure that you get the care you need, without having to make sacrifices in your busy life. How do I receive convenient care? It’s simple. Book an appointment with Dr. Luckett and once you’re in the system you’ve become an existing patient eligible for convenient care. He’ll be able to provide you with thorough care whenever you come back; even offering the opportunity to book appointments same day. At the end of the day, taking care of your personal health ensures that you’ll be able to live the longest, most full life. For that reason, regularly consulting with Dr. Luckett or Nurse Wilkerson is incredibly important no matter who you are. When care is convenient, it’s so much easier to stay on top of your personal health. Enjoy a healthier life by contacting the office to get your consultation done, and you’ll be able to get the care you need, when you need it, whenever your schedule gives you the opportunity. In addition to this, Dr. Luckett regularly sees patients in the hospital and makes office visits to nursing homes for elderly patients. Dr. Luckett and Nurse Practitioner Christina Wilkerson want to make sure you are in the right hands no matter where you are. Contact Vineyard Primary Care today so you can start convenient care.